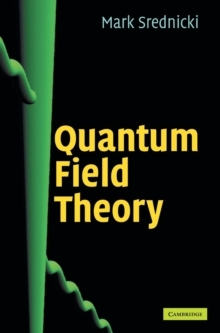 Quantum field theory is the basic mathematical framework that is used to describe elementary particles. This textbook provides a complete and essential introduction to the subject. Assuming only an undergraduate knowledge of quantum mechanics and special relativity, this book is ideal for graduate students beginning the study of elementary particles. The step-by-step presentation begins with basic concepts illustrated by simple examples, and proceeds through historically important results to thorough treatments of modern topics such as the renormalization group, spinor-helicity methods for quark and gluon scattering, magnetic monopoles, instantons, supersymmetry, and the unification of forces. The book is written in a modular format, with each chapter as self-contained as possible, and with the necessary prerequisite material clearly identified. It is based on a year-long course given by the author and contains extensive problems, with password protected solutions available to lecturers at www.cambridge.org/9780521864497.